How to Restore New iPhone from iTunes Backup? (2) Plug your iPhone into your computer with your USB cable. There might be a message that pops up asking you to Trust This Computer from your iPhone screen. You might also be asked your passcode. Just follow through with the directions on screen to trust the computer. (3) Click on the device icon in iTunes. (5) You will be able to look through your backups now. If there is more than one, pick the one you want to restore backup to new iPhone. (6) Click Restore. You might be asked for a password if the backup was encrypted. Input it now. (7) iTunes will now start to restore new iPhone from backup. Do not unplug your iPhone until this process is over. 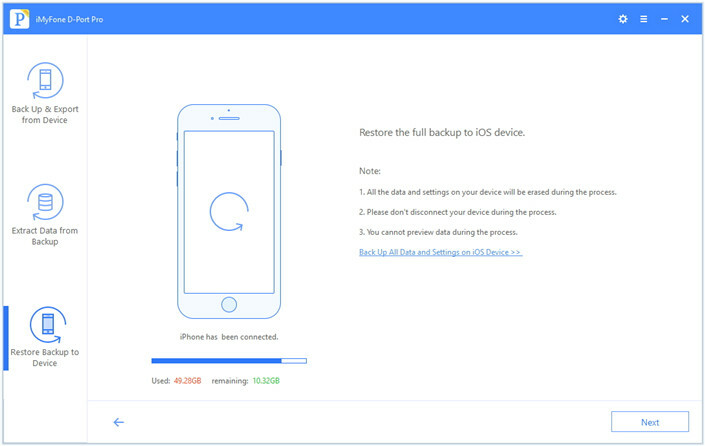 Alternatively, you could restore new iPhone from backup using iCloud. Again, this is a fairly simple procedure if you have already made a backup in iCloud. (1) Turn on your iPhone. You should get the Hello screen. (2) Follow the directions that you see on the screen. Eventually, you'll get to a screen labeled Apps & Data. Here, tap Restore from iCloud Backup. (3) You will be asked to log into iCloud. Go ahead and do that. (4) Now you will be able to choose a backup from a list. Choose whichever one makes sense to you, and the process of restoring new iPhone from backup will start. 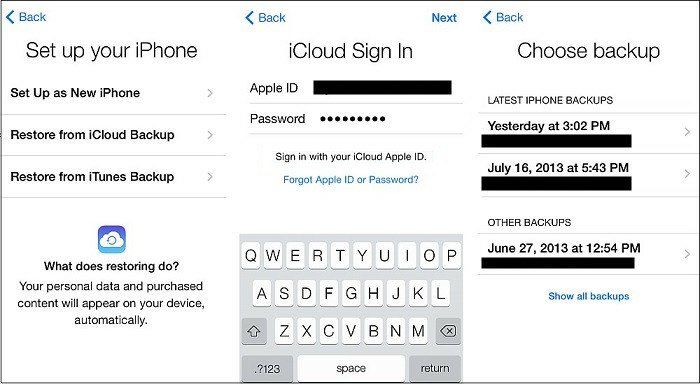 (5) You will eventually be asked to sign into your Apple ID account. Do this and you will be able to restore any media or apps that you bought through iTunes or the App Store. (6) Now you wait until everything is done restoring. Since the backup is being transferred from the iCloud servers to your iPhone, it can take a while and depends on how fast your Wi-Fi connection is. (7) When it is done, it will indicate this on the screen and you can go through the steps of completing setup. Finally, you can use a third-party application to restore your backup. This has a lot of advantages, such as the fact that you can selectively restore pieces of the backup. 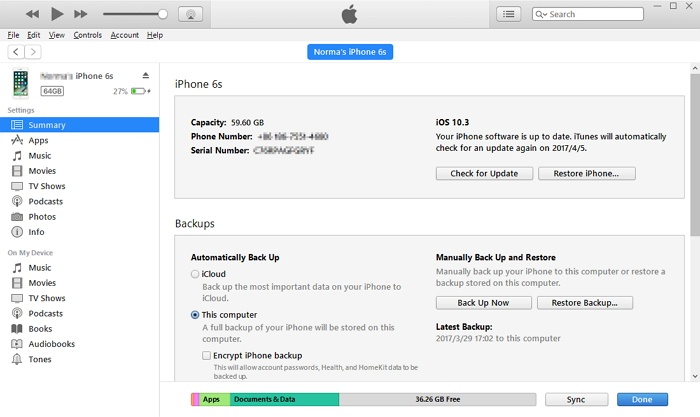 Selectively back up data on iPhone and restore iPhone from backups. Export your data directly from your iPhone to computer. 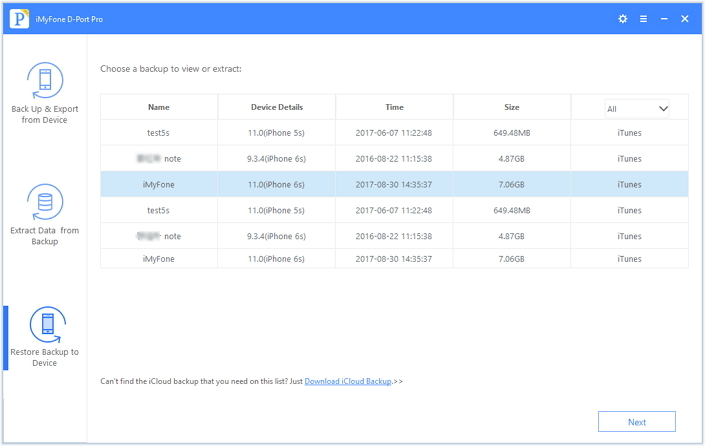 Download data from your iCloud backup. Access files in your iTunes backup without needing to restore it. Extract data from your backups and share them. You can even print your messages. How to Restore New iPhone from Backup by iMyFone D-Port Pro? 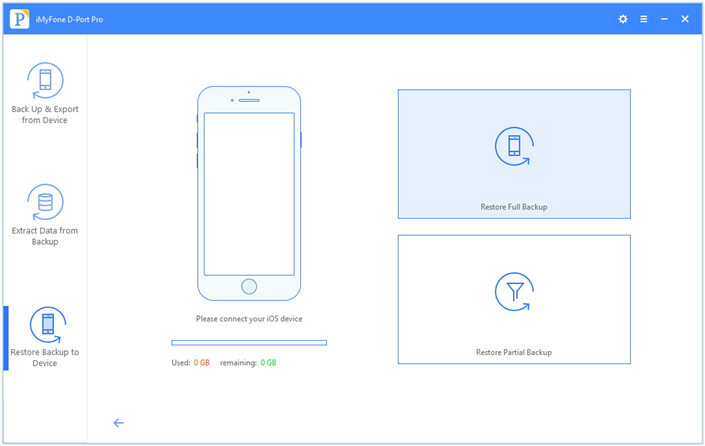 (1) Launch iMyFone D-Port Pro and click Restore Backup to Device. (2) From here, you will see all your backups listed. This includes any iCloud, iTunes, or D-Port Pro backups that you may have made previously. Select the one that you need, then click Next. Note: If you don't see the iCloud backup that you need, then you can click Download iCloud Backup to acquire it. (3) You can now click either Restore Full Backup or Restore Partial Backup. Since you want to restore new iPhone from backup, you will be choosing Restore Full Backup. (4) Click Restore. After this, just wait while the backup is restored. Do not disconnect your iPhone until it is done! Note: Any data or settings that were on your device before will be overwritten. This is not really an issue on a new iPhone, though. You can restore a backup from an old iPhone onto a new iPhone in a variety of ways, but one of the best ways is with iMyFone D-Port Pro. This is because this iPhone backup and restore tool gives you more control over your backups and the freedom to restore them partially if you would like. You can also store your backups anywhere when you make them, which makes it more convenient and secure.